Gabrielino looked every bit the Mission League champs they are. In a battle of ‘the Eagles’ Gabrielino got out early and never let Marshall into the match. They earned the 25-6, 25-1 and 25-15 sweep at Marshall. Senior outside hitter Risejah Velasco with 4 kills and 6 digs. All of Velasco’s kills came in the third set. Sophomore setter Malia Wilson finished with 7 digs and 5 assists. Sophomore outside hitter Sophia Hatum had 4 digs. Sophomore opposite hitter Bora Lim ended with 3 assists and 3 digs. Marshall will host Rosemead on Friday at 3:15 in a Mission League contest. Marshall coach Sang Lee: “Although we both compete in the Mission Valley League, Gabrielino plays at a level that is in a league of its own. They are the gold standard of our league. What Coach Chau has done there over the years is what we hope to develop and emulate. 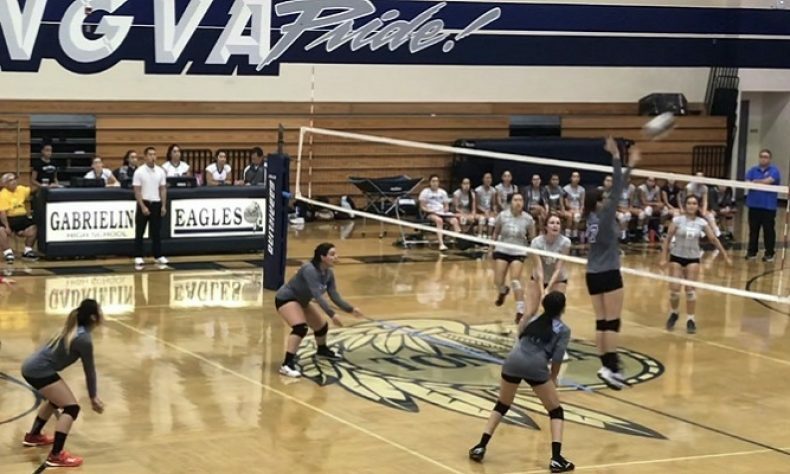 Their volleyball program is systemized and disciplined.